Sunday October 21, 1956, 8.30 p.m.
National Film Board of Canada, 1947, 7 mins. A lyrical camera study of Montreal’s great park, set to a French-Canadian song. A mother brings her child to the park where he plays, swings and watches the ducks and gondolas glide on the stream. Grownup, he wanders through the park with his sweetheart. The song closes sadly, for his sweetheart has left him. This picture is an interesting experiment from the N.F.B., representing as it does a rare attempt at musical expression. Warners, 1942, Technicolour, 20 mins. The Ballet Russe de Monte Carlo appeared in two 20-minute short subjects for Warners in 1942. The first was The Gay Parisian. In the company were tamara Toumanova, who later appeared in Days of Glory with Gregory Peck, Tonight we Sing with Ezio Pinza, and in Gene Kelly’s Invitation to the Dance; Leonide Massine, who has since appeared in The Red Shoes and Tales of Hoffman; and Igor Youskevitch, who is also in Invitation to the Dance. Spanish Fiest is being shown because it is now a rare film. The Gay Parisian was re-issued this year, but both will shortly be withdrawn for circulation. The art of the ballet has always been a difficult one to depict on film, and these two pictures will remain permanent records of the Ballet Russe de Monte Carlo. Cast: Lon Chaney (The Phantom, Erik), Mary Philbin (Christine Dae), Norman Kerry (Raoul de Chagny), Snitz Edwards (GFlorine Papillon), Gibson Gowland (Simon), John St. Polis (Phillippe de Chagny), Virginia Pearson (Carlotta), ARthur Edmund Carewe (The Persian). 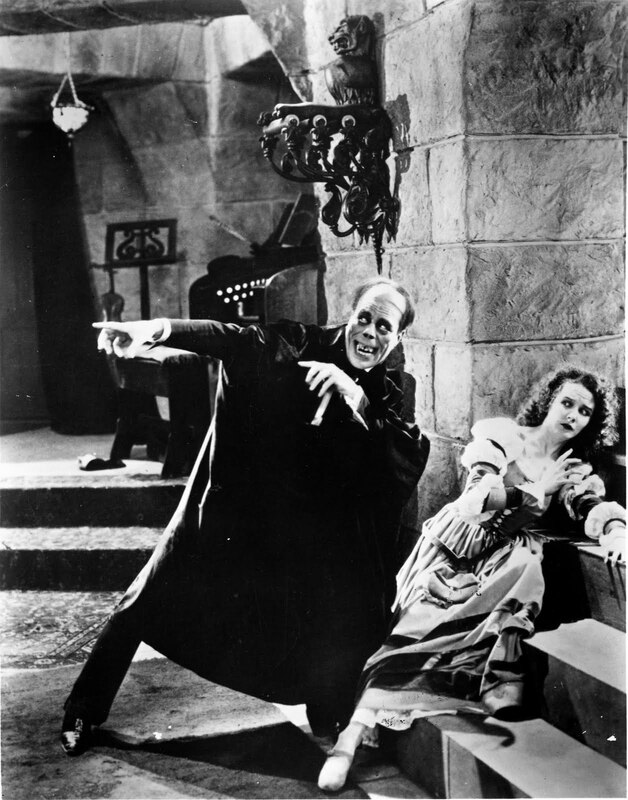 The Phantom of the Opera followed Lon Chaney’s memorable Quasimodo in The Hunchback of Notre Dame. His playing of the crazed musician is in the grand manner and his beautifully stylized gestures are most effective, whether evoking pity or horror. The excruciatingly painful make-up consisted of a device that spread his nostrils and lifted the tip to produce the effect of a skeleton’s skull. He heightened this with protuding false teeth, to which were attached small prongs that drew back the corners of his lips. Celluloid discs in his mouth distorted his cheekbones. The effect on audiences 30 years ago was overwhelming–especially the unmasking sequence. Lon Chaney was born on April 1st, 1886, the son of deaf and dumb parents. A great character actor, he possessed an uncanny feeling for the handicapped and always gave sensitive and deeply human interpretations of strange and unusual characters. He was an expert at make-up, an actor of exceptional ability, and a master of pantomine. He used this oldest of acting techniques in some of his most memorable roles. He died of cancer on August 26, 1930. His son is presently in Toronto appearing in a series of television films. 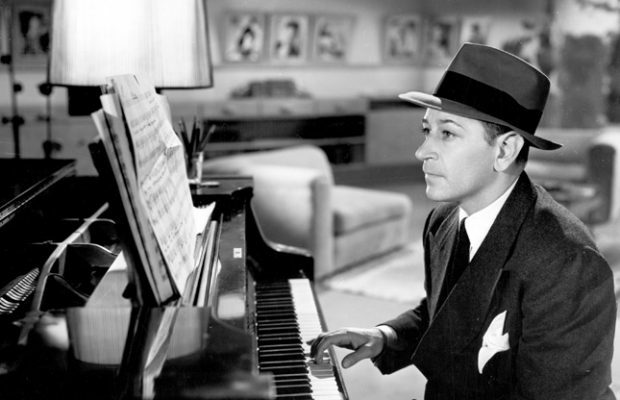 He also has made his mark on the screen, having appeared in many films, among them Of Mice and Men. 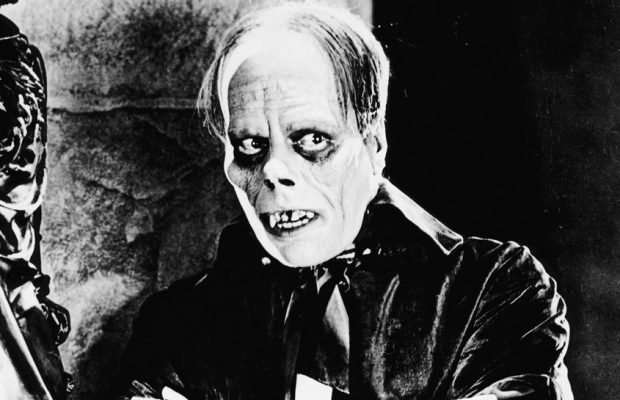 The Phantom of the Opera was filmed in black and white and Technicolor. The added colour in the masked ball sequence at the opera was highly attractive during this early period. 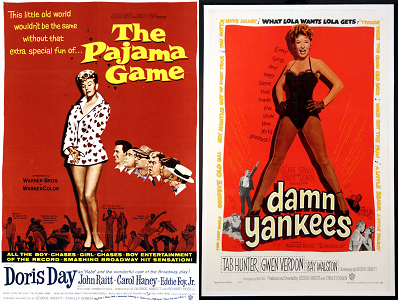 The version being shown was printed in black and white. Members who recall The Hunchback of Notre DAme will recognise the setting of the Notre Dame Square in the final scenes of The Phantom. In 1930 it was released with sound effects, bits of dialogue and added operatic sequences. These did not improve the original. Universal remade The Phantom in 1943 with Nelson Eddy, Susanna Foster and Claude Rains. It contained no suspense or horror, but was well sung. 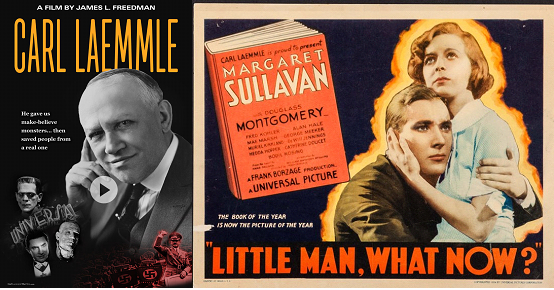 Universal, for which studio Chaney made most of his greatest films, is now making The Man of 1000 Faces, with James Cagney in the role of Lon Chaney.